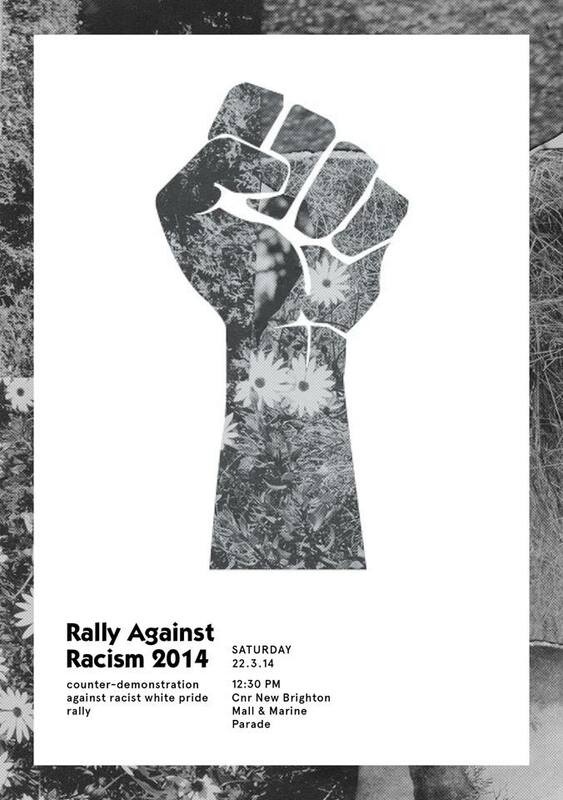 The “White Pride World Wide” rally is happening again with Right Wing Resistance (http://rwrnz.blogspot.co.nz/) having it’s flag day celebrating bigotry and intimidation. They appear to be working with National Front (https://www.facebook.com/wpwwnznf) who are a well known Neo-Nazi/White Nationalist group. Last year was excellent, and hopefully with more time we can make this counter demonstration larger and better. 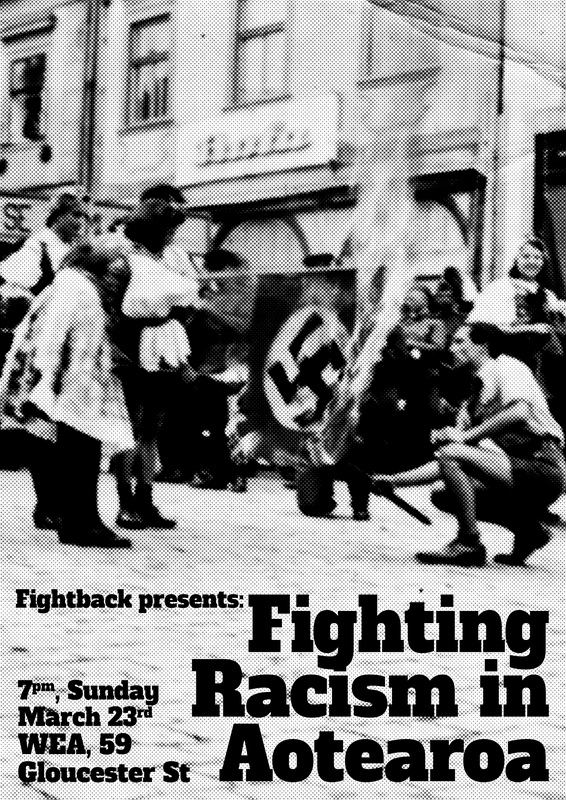 Fightback presents a facilitated discussion on fighting racism throughout Aotearoa. Wei Sun (Fightback) on migrant struggles & open borders. Ben Peterson (Australian guest) on solidarity with refugees.